Beebay presents this A-line Polka Dot Bow Dress for your little girl. 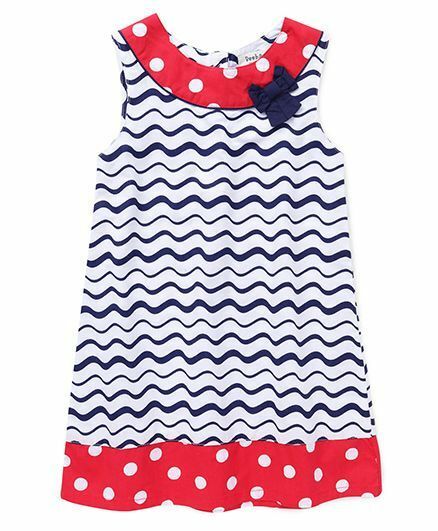 Give a trendy and bright look to your daughter by buying her this red and blue coloured dress with bow and polka dot print. Made from soft fabric, this dress has a round neck and it is sleeveless. You can team this dress with cute shoes or sandals to complete your girl's everyday look.